The University of Florida College of Pharmacy received a $1.5 million grant to study hormonal contraceptive drug interactions that lead to unintended pregnancies from the Bill & Melinda Gates Foundation. Stephan Schmidt, Ph.D., an associate professor of pharmaceutics, says the grant should improve patient care for those who need to take hormonal control agents, not only for birth control, but also for difficult menstruation. “It gives us a very rich opportunity to really have an impact in an area that needs an impact because of sparse data,” Schmidt said. The study will examine three or more of the most popular hormonal contraceptives in the United States, Europe and Africa, respectively, when taken with drugs likely to interact with them: HIV medications, anticonvulsants and antifungal agents. The unintended pregnancy rate in Africa is much higher than in the rest of the developed world, offering the most opportunity for impact. A decades long trend in prescribing hormonal contraceptives is to prescribe the lowest dose of estrogen possible to avoid unwanted side effects. But co-medications often cause estrogen or progesterone to be metabolized more quickly, leading to unintended pregnancies. Another common scenario is a co-medication causing metabolism to slow, leading to higher estrogen levels that increase the risk of weight gain, heart disease and stroke. By inputting databases of clinical trials of hormonal control therapies into physiological-based pharmacokinetic, or PBPK, models, researchers can use computer simulation to evaluate drug interactions between hormonal control agents and other drugs. Co-investigators Joshua Brown, Ph.D., an assistant professor of pharmaceutical outcomes and policy, and Almut Winterstein, Ph.D., a professor and chair of pharmaceutical outcomes and policy, will use real-world, pharmacoepidemiologic data to translate findings from the models to real-life patients to further identify clinically relevant drug interactions. Researchers can then determine appropriate dosage recommendations when administering with other interacting drugs. If a specific type of hormonal control agent interacts poorly with other drugs, prescribers can recommend an alternative therapy. 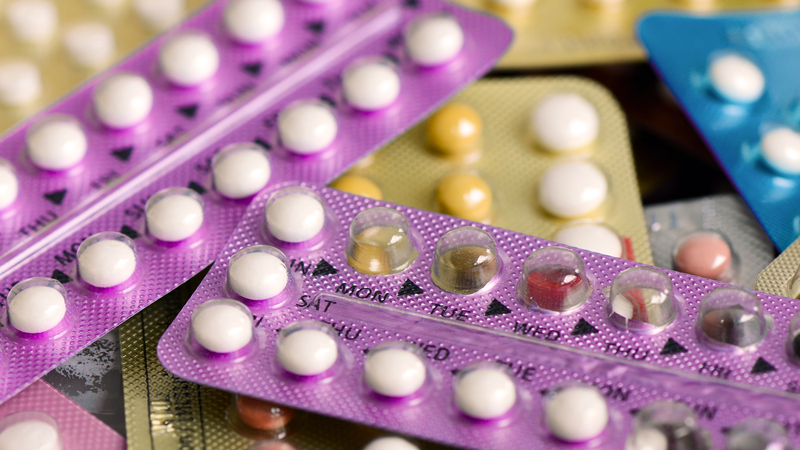 After identifying proper doses of combined hormonal contraceptives, UF researchers will continue to maintain a database of models, making them open source for other researchers to explore. At a yearly public workshop, the UF researchers will share study results. “It is very exciting to be able to help improve the health care of a specific subset of the population. Here we’ll be able to provide information to drug labels that are often void of actionable information,” said Larry Lesko, Ph.D., an emeritus professor of pharmaceutics and a co-investigator on the study. Once researchers build the computer simulation models, they can change the model’s system and drug parameters to study hormonal contraceptive drug interactions among specific subsets of the population, and can include non-oral administered drugs. Donovan C. Baltich is a communications specialist at the University of Florida College of Pharmacy. Through strategic planning and multimedia storytelling, he promotes the college’s goal of pursuing greatness.